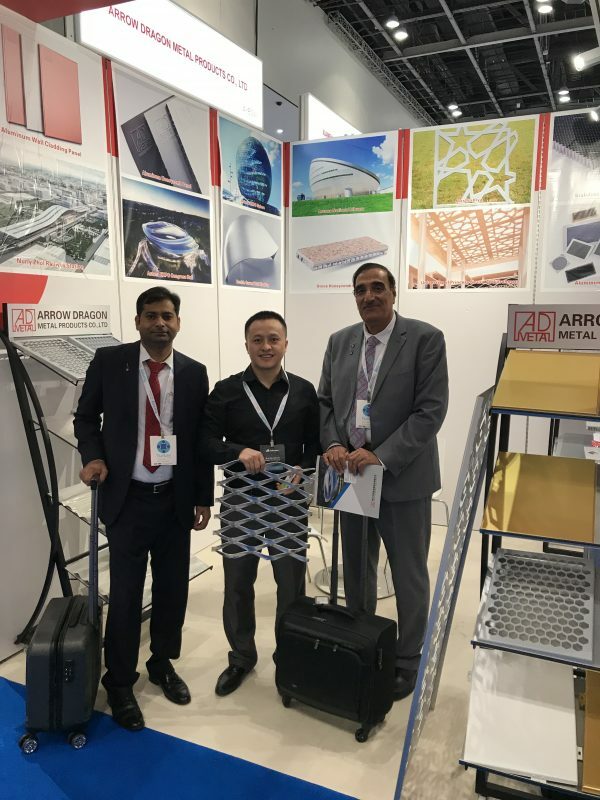 Satisfactory ending of Dubai BIG 5 Exhibition - Arrow Dragon Metal Products Co., Ltd - PVDF aluminum wall panels, aluminum honeycomb panels, stone veneer aluminum honeycomb panels, aluminum curved panels, aluminum carved panels, perforated aluminum panels constructional engineering supplier. 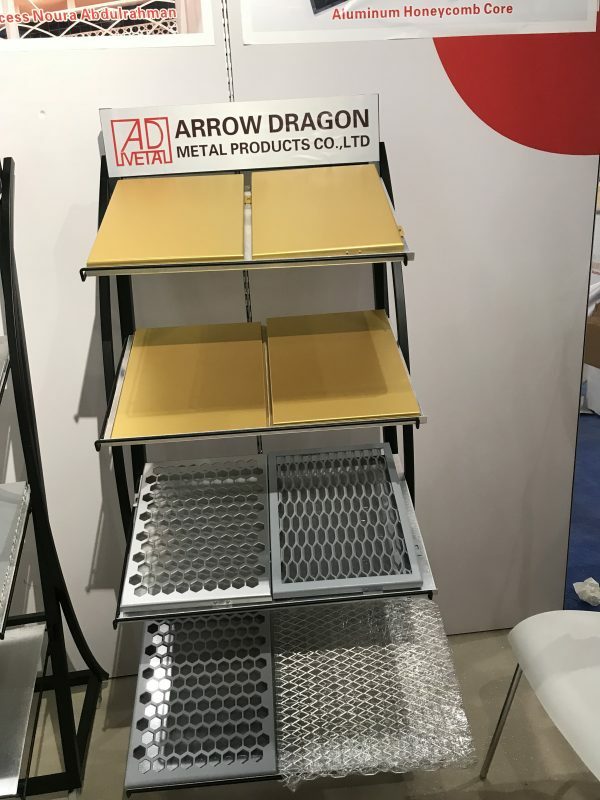 After 4 busy exhibition days in Dubai world trade center, Arrow Dragon Metal Products Co., Ltd (ARROW DRAGON AS MENTION IN BELOW) has a satisfactory ending in BIG 5 2018. 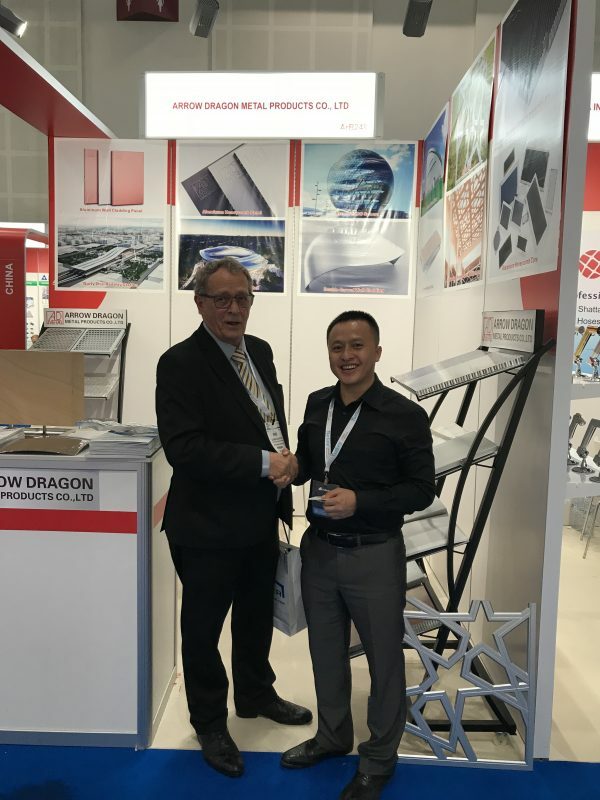 Before grand opening of BIG 5, ARROW DRAGON already spent one week in visiting of UAE aluminum and façade companies, meanwhile, we also sent an invitation letter with an kraft paper envelop. In Dubai BIG 5 exhibition 2018, we total had 111 visitors from 26 countries except South American. 38 Visitors from UAR ranks number 1, 16 KSA visitors follows, and then it’s 11 visitors from Kuwait, besides, visitor from India, Pakistan and Oman are more than 5. 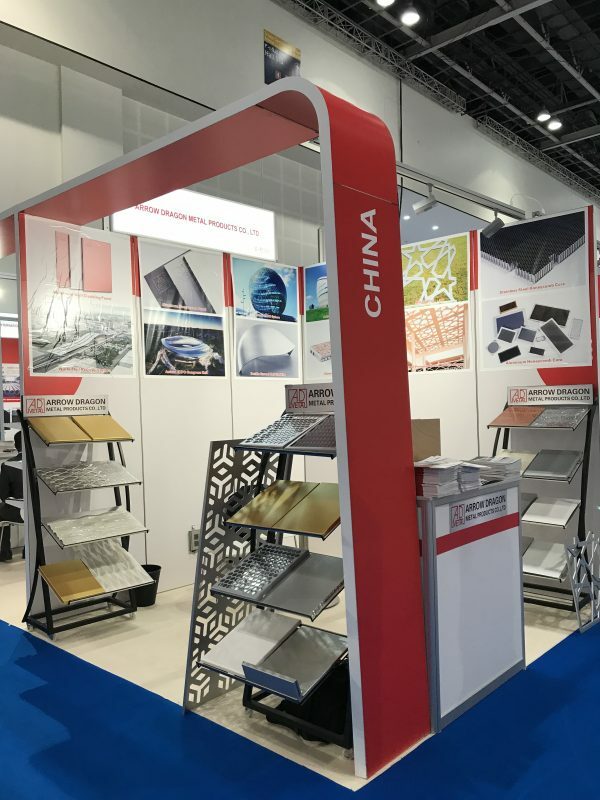 In this exhibition, Arrow Dragon shows 29pcs sample, including expanded sheet, aluminum solid sheet, aluminum honeycomb panel, stone veneer honeycomb panel, stainless steel double curved sheet, aluminum double curved sheet, mashrabiya/aluminum perforated sheet. 1 visitor shows interest in double curved sheet. During this tour to Dubai, we build contact with aluminum façade companies in UAE and outside of UAE, meanwhile, we are in cooperation with some projects, solution and samples have already been submitted. Hope we can do something to build a better facade in this world.